Posted March 26, 2013 by Will (Chief Information Officer) . 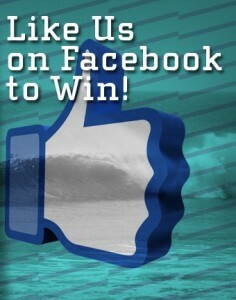 Facebook Sweepstakes is an application that you can use through your business’ Facebook page. It’s a fun way to boost engagement with your Facebook page and increase the sense of community portrayed through your social media and social networking efforts. With a Facebook Sweepstakes you are able to create a giveaway opportunity for your customers in exchange for some sort of interaction with your page. For instance, some sweepstakes will require the person to like the page before they can enter, or to make people give your business a review before they are able to enter the giveaway. A special perk to creating these is that you get to call all of the shots on the design, offer, and limitations to your business’ sweepstakes. The first and very obvious benefit to creating a sweepstakes is that it makes your customers happy! You are giving something away to your customers. With sites like Groupon and Living Social growing in popularity, everyone is looking for a good deal. With a sweepstakes, you can give your customers the type of deal they crave while helping your business at the same time. Thus the sweepstakes will not only give new customers an extra incentive to look at your page, but it will also get people that currently like your page to revisit and interact with your business. What would you give away in YOUR Sweepstakes? …in exchange for what? Contact AMG today for some ideas, or if you want help integrating social media into your integrated marketing strategy!